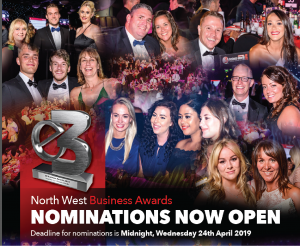 The E3 Business Awards offers the perfect environment for organisations to increase their profile within the North West business community. In addition to leading entrepreneurs and business owners from across the UK, the guest list will include a significant number of key staff from major government and public agencies together with senior representation from the voluntary sector. Attendees will benefit from networking with some of the most successful businesses in the country whilst enjoying excellent cuisine. 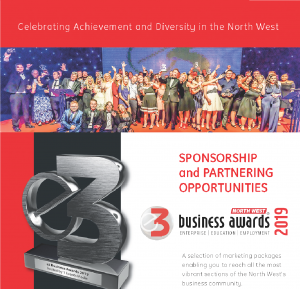 The E3 Business Awards attracts over 500 business guests, and – through sponsorship – will provide an ideal platform for your organisation to increase its profile within the North West business community. 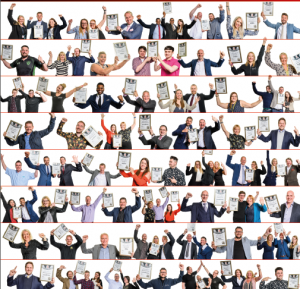 Here are just a few reasons why you should sponsor the E3 Business Awards…. For more information please download a copy of the latest Sponsorship Booklet.